If you're thinking of whether or not you should get a baby carrier, our advice is: go for it! It is one of the best invention of mankind, in fact, we think it is not a question of choice - a baby carrier is a necessity that you should add to your registry. 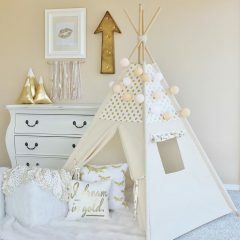 Parents who own it can easily say it is one of their favourite, if not most worthy investment of baby products that they have bought. If you do not already know, a baby carrier is a piece of cloth that allows you to wear your baby. Yes, it literally lets your baby stick close to your chest (or back) which is why it is also often referred as babywearing. 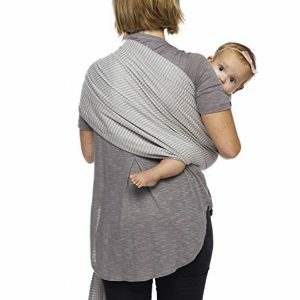 (1) Wraps - these come in a long piece of cloth that wraps baby and mom (or dad, or any carrier) around before it is tied to create a tight and secure carrier. It is considered by most parents to be the most comfortable type (n buckles, straps and snaps), including as a baby carrier for big babies. (2) Slings - quite similar to wraps, slings are also made of one single piece of fabric but it goes over one shoulder and across your torso (like a sash) to create a pouch for your baby. This type makes for the best and most convenient baby sling for breastfeeding. (3) Structured Carriers - these are the easiest to use as they come in ready-to-wear pouches (like a backpack form). Simply put it on, slip baby inside and you're good to go! This is the go-to baby carrier for heavy baby because it is the most heavy-duty and provides the most support out of all. 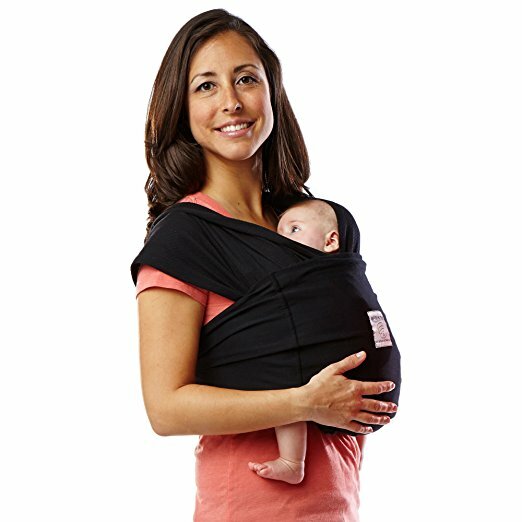 Let's start off with baby wrap carrier reviews. We have chosen 3 top baby wraps that are well-loved and raved by parents across the world. Let's see which is the best baby wrap for you! The Boba Wrap is one of the best infant wrap available in the market, and this particular one in the shade of grey is the brand's bestseller for many years - a neutral that goes with anything you wear. It is our favourite best wrap for newborn (including preemies) because it creates a custom fit to accommodate to your baby's size. Made from high quality French Terry material, it provides the most comfortable pouch for your little one as s/he snuggles close to you. Most importantly, it retains its shape well and doesn't sag even with all-day uses thanks to the use of soft and strong cotton knit that is woven with spandex for durability and clinging support. Don't get intimidated thinking it will be hard to create a secure wrap - the simple tying style and flexible material forms to your baby and allows for easy on and off. It is also stretchy enough to give you hassle-free access to nursing, ensuring you are always breastfeeding-ready. Supporting up to 35 pounds, this is the best newborn carrier that brings you up to around 18 months of hands-free comfort with your little one. 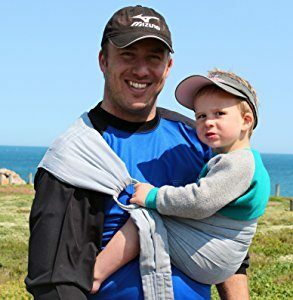 Given its excellent quality, you will be surprised to find that the Boba Wrap is also one of the best affordable baby carrier in the market that won't burn a hole in your pocket. Definitely recommend if you're looking for the best newborn wrap carrier! Another best baby sling wrap that we want to talk about is the CuddleBug Baby Wrap Carrier. This is one of the top rated baby wraps that employs a proprietary blend of French Terry cotton and spandex, giving you just the right amount of stretch and firmness to accommodate your little one comfortably and securely. The reason we say it is one of the best baby sling wrap is that the CuddleBug can be converted from a wrap to a sling carrier easily so you get two functions in one product. This means you get to enjoy the benefits of both types of carriers without having to pay for more (and it's already very affordable, to start with)! While you can certainly breastfeed in discreet with this sling wrap, you can also remove it completely and use it as a traditional nursing cover if this is your preference. And there's more - it functions as a postpartum belt too! Simply wrap it tightly around your belly after giving birth to reduce swelling and return to your original size sooner. So really, there's 4 different uses you can use with this one here! It is no wonder the CuddleBug Baby Wrap Carrier is regarded as one of the best baby wearing product that so parents cannot stop raving about. We think it is definitely a bargain, to say the least! 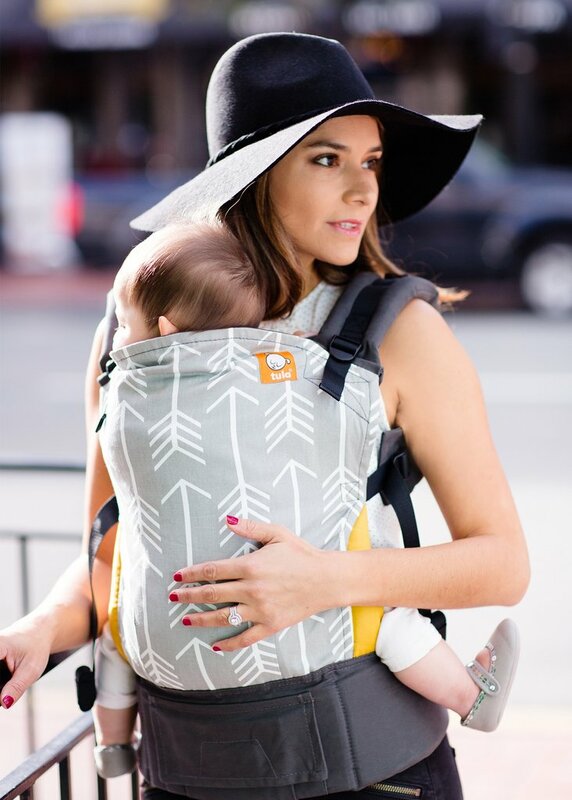 If you have a lil extra budget to spend, we recommend getting the Baby K'tan Original Baby Carrier because boy, this wrap offers up to 6 different carrying positions without the need for wrapping or buckling. Yes, you read it right - this is a wrap without all the wrapping. 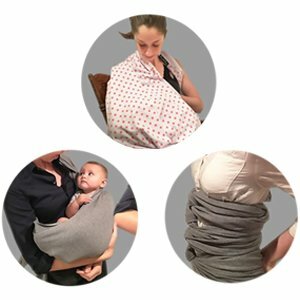 There are some who find it difficult to master the techniques of wrapping no matter how much practices they got beforehand, or if you simply just want to save yourself the hassle of wrapping each time you need to wear your baby, then this is the best wrap carrier for you. 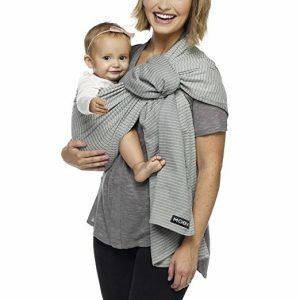 This ready-to-wear wrap-style baby carrier allows you to wear it on like a t-shirt thanks to its patented double-loop design so you can put it on easily anytime, anywhere. It is also one of the best baby carrier for back pain because it helps distributes baby's weight evenly across your shoulders and back. Just tug on the adjustable back band to ensure optimal back support. Supporting up to 36 months, the award-winning Baby K'tan Original Baby Carrier is the best child carrier that will last you all from newborn, infant to toddler stage until you don't need one anymore. Definitely the best baby wearing wrap for many! Now, let's move on to our baby sling carrier reviews. Similarly, we have found the top 3 best rated baby sling for you to choose according to your preference and budget. 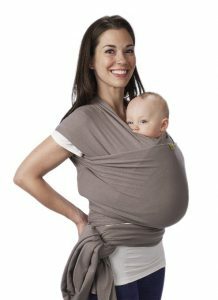 BabyWombWorld's Baby Ring Sling Carrier is our top favourite in terms of best baby sling for newborn. This sling allows you to carry your newborn in the same position they have assumed during the first 9 months, and it is perfectly shaped to support your newborn's developing spine. The lightly padded sides is a delight as it ensures better comfort level for the wearer. Made from a high quality material blend of cotton and spandex, it allows for elasticity, comfort and shock absorption. We also really like how it has a single layer of material only so that the sling is breathable and prevents baby from overheating. The ring sling is fully adjustable and allows for easy threading so that you can find the right position for a nice and secure fit. 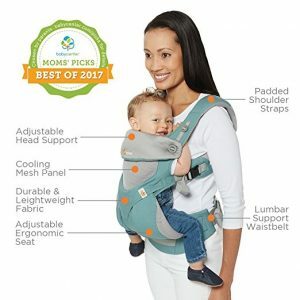 Such versatility allows you to have different carrying position, including using it as a baby sling for toddler just by switching it to "hip hold" position. Another reason we say it is one of the best baby slings for newborns is because it allows easy breastfeeding access in discreet. 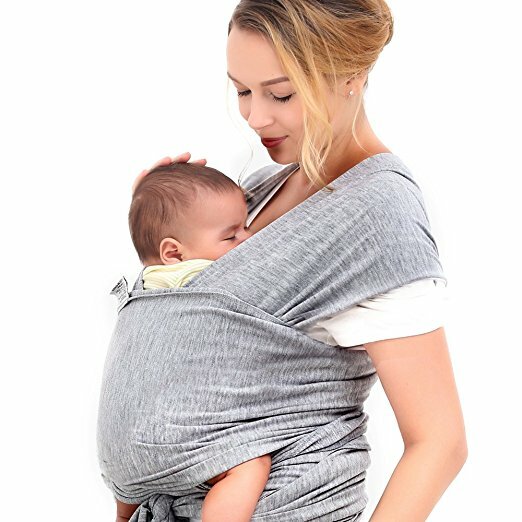 Overall, if you're looking for the best baby carrier for newborn to toddler, the Baby Ring Sling Carrier from BabyWombWorld is the one to go. There isn't many forward facing baby carrier, at least not in sling type, but we're happy to say the Innoo Tech Baby Sling Carrier is one that is superb in quality too. 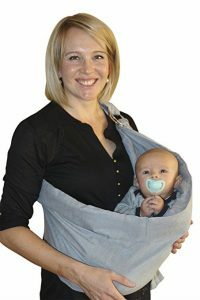 As you can see from the pictures, this baby sling allows you to wear your baby both facing you or outwards. This allows baby to explore and see the world with you, besides bonding close to your chest when needed (i.e. breastfeeding time). This is a sling without all the rings and buckles - it simply ties on with tapered ends design. Also, it keeps your little one's legs apart with his/her head, neck and spine firmly supported. Because of these features, it is regarded to be one of the best sling for newborn because it supports newborns' fragile frames. The high-quality French Terry material employed ensures a comfortable fit for both caretaker and baby, and its thin but stretchy texture makes it breathable so that it doesn't get too hot, even in hot and humid weather. The Innoo Tech Baby Sling Carrier is one of the best lightweight carrier for those that want to enjoy the benefits of 'backpack'-like structured carriers (forward-facing) without the bulkiness and weight. And you will be pleasantly surprised by its price - it is the best cheap baby carrier you can find in the market! 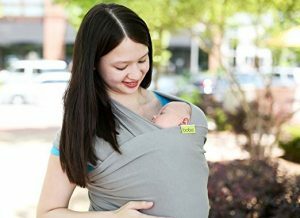 The Moby Sling is another best baby sling carrier that many parents swear by. 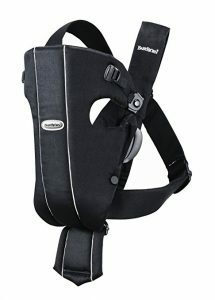 Although it is a one size fits all, it is completely adjustable and customisable for all caregivers and babies. Because of this, you can adjust to grow it with baby, from newborn to toddler. Like BabyWombWorld's, it offers both front and hip carrying options for versatility and comfort. It is equally comfortable for your little one as this sling is created with a high quality, woven cotton textile that provides the best combination of support, comfortability and style. Keep in mind though, some parents have found it a tad too thick for summer days so it might feel hot to wear it outside. For those that live in cooler climate, this may not be a problem, in fact, it can be the best baby sling for you. Also, some may find the Moby Sling a bit difficult to tighten so you may need another pair of helping hands to put it on tightly, which may not be so convenient at some times. Apart from that, it makes for one of the top baby slings that is durable and is easy on the pockets. Now that we are done with our baby sling reviews, let's move on to our baby carrier reviews (structured style). There are many good ones out there, which is why we have shortlisted 5 (instead of 3) of the top baby carriers because, well, each holds its own to be the best structured baby carrier! Where do we start? We're sure you're not unfamiliar with the the brand Ergobaby, what's with all the ergo baby carrier reviews floating around the internet. Among all the models that the brand has produced, we think the Ergobaby 360 Baby Carrier is the best ergo baby carrier to date. 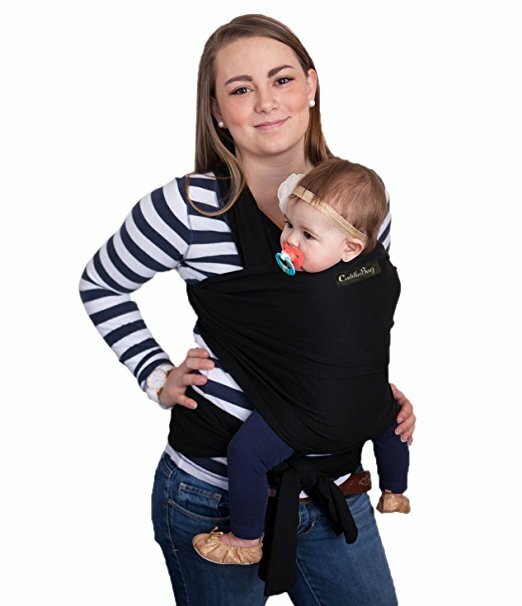 For those that are looking for the best forward facing baby carrier, good news - the Ergobaby 360 allows you to face baby both inwards and outwards (hence its name "All Carry Positions"). Regardless of what position it is in, the ergonomic design ensures your baby is always seated in an ergonomic natural "M" position (the recommended position) in the easy-to-adjust bucket seat. 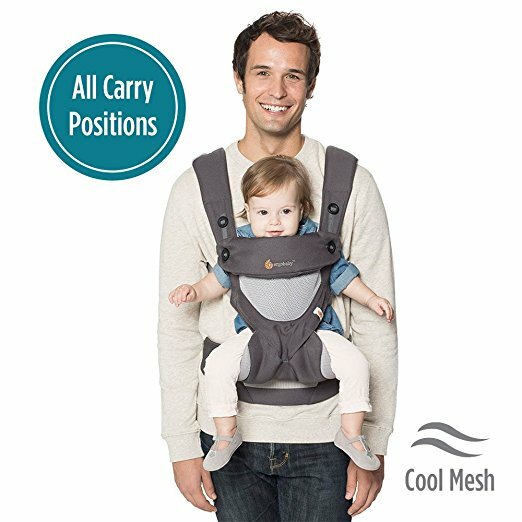 This award-winning baby carrier uses soft, lightweight and durable mesh so it is cooler for both baby and you. In addition, the wide wraparound waistband provides exceptional lower back support to maximise your comfort level, especially post C-section and the extra padded shoulder straps helps evenly distributes baby's weight. The Ergobaby 360 Baby Carrier is easily adjustable to fit multiple wearers from petite to larger body types so it can be shared between mom and dad (moms, it is one of the best baby carrier for dad due to its neutral colour and design) and it retains its shape well after after wash so you can use it for multiple years, for multiple babies. And oh, there's a UPF50+ tuckaway baby hood for sun and wind protection too! As you can already tell by its name, the Infantino Flip Advanced 4-in-1 Convertible Carrier is convertible to 4 carrying positions - facing in narrow seat, facing in wide seat, facing out and back carry. Sounds confusing? Let us explain. One of the best front facing baby carrier, it allows for a completely customisable fit with adjustable seat, leg openings, straps and waist belt to suit your baby's each growing stage. Unlike many carriers which require extra infant inserts (otherwise, baby's legs may be forced into an uncomfortably wide position), the Infantino Flip Advanced allows you to adjust the seat to adhere to baby's size accordingly. Narrow the seat for smaller infants and use the padded head support so that they can sit comfortably, and expand it to provide knee-to-knee support for older babies and toddlers without buying any extra accessories! We also like how there is extra padded shoulder straps to provide relief to your shoulders (trust us, the growing weight can be quite straining at some point!) 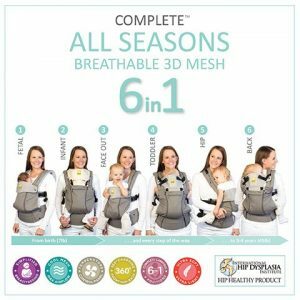 and combine with the use of the supportive waist belt provided, you can wear your baby comfortably for extended period of time because baby's weight is evenly distributed across your body. Given its quality, you will not believe its price - it is one of the best inexpensive baby carrier that will suit most parents' budget. 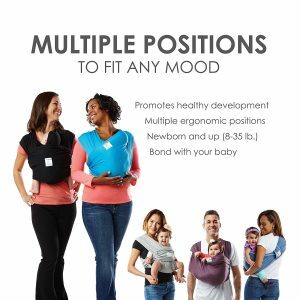 Overall, the Infantino Flip Advanced is certainly one of the best baby carrier for mom and dad if you do not want to spend too much on a carrier. The BabyBjorn Baby Carrier Original is another best baby backpack carrier that we would highly recommend for anyone looking for the best baby carrier for newborn. This carrier is perfect for newborns as it is designed with newborns in mind, with the help of paeditricians. It does not require any infant insert to give you the closeness that helps you form a close born with your newborn. Specially designed to fit your baby right from birth, it provides a firm and adjustable head support for secure and proper support of baby's head and neck. And with the legs and hips positioned in an ergonomically correct position recommended by paediatricians, you can be assured this is one best infant carrier that gives no side effects to your little one. 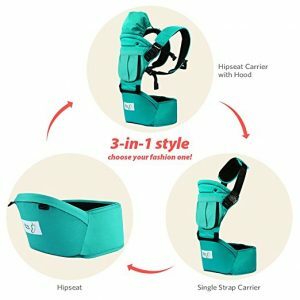 Don't think it is limited to just your newborn, this baby carrier grows with your little one (in fact, it is one of the best baby carrier for toddler) with the size adjustment buckle. Just fold the head support down so that your toddler can be carried facing outwards in a perfect fit. Being one of the best rated baby carriers, the BabyBjorn Baby Carrier Original is also one of the easiest to use because it has colour-coded buckles and safety click that give you the assurance you have fastened it correctly. And you can easily put it on and take off without assistance, which is useful when you are putting baby to bed. 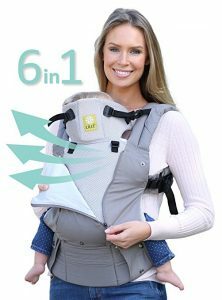 For those of you with a bigger budget, we highly recommend getting the Lillebaby All Seasons Stone 6 in 1 Baby Carrier, an all-in-one baby carrier that caters 6 carrying positions - front inward (fetal, infant and toddler), front outward, hip and back carry for babies up to 45 pounds. It is one of the best toddler carrier because its signature, hip-healthy seating can be customised to accommodate your baby's growth (narrow seating for newborns, wider setting for older child). No infant inserts are required, it also has a padded and adjustable head support that comfortably secures baby's head and neck. 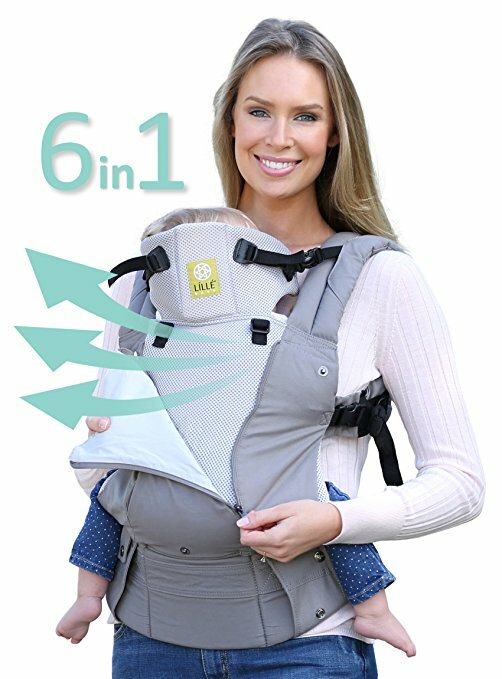 Voted the most comfortable baby carrier by parents, parents get to enjoy superior comfort thanks to the unique lumbar support and waist belt which provide amazing stability. 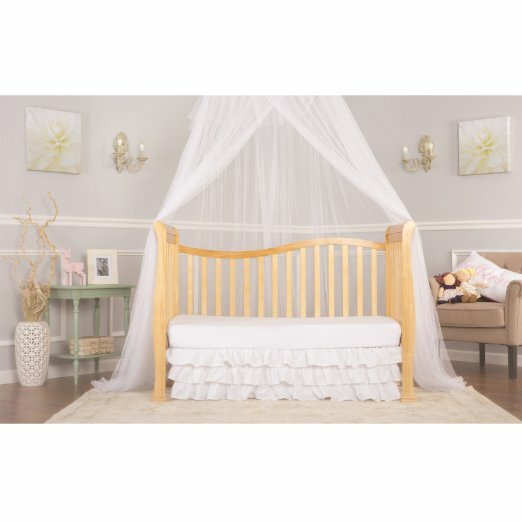 It also relieves pressure and allows baby's weight to be evenly distributed and the unique air panel lets you control baby's temperature. 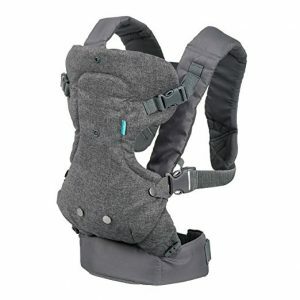 The Lillebaby All Seasons Stone 6 in 1 Baby Carrier is the best baby carrier for hiking because it is lightweight and can be worn 2 ways (X-style or backpack H-style) for ultimate comfort. To say it is the best baby backpack is definitely an understatement! Last but not least, the BabySteps Ergonomic Baby Carrier with Hip Seat that is also customisable in 6 different positions. We cannot mention this without raving about the built-in ergonomic designed hip seat. It allows baby to be in a natural sitting position and with the back support and foldable head support, it ensures baby's smooth breathing when facing outward. And, it evenly distributes the weight between the parent's hip and shoulders so that it does not give too much a burden on the back. We also like how it uses organic cotton and soft polyester fabric so that it is breathable and suitable for any season. If that is not enough, it also has a 3D mesh in the front zipper pocket to keep your baby cool in hot seasons, and a removable wind-resistant hood to protect your baby from cold winds. The soft fabric also ensures no friction against your baby's legs to prevent any chaffing or scratching. If you like the versatility of Lillebaby but does not have the budget for it, the BabySteps Ergonomic Baby Carrier with Hip Seat is the closest resemblance that won't break your bank. It is also easy to operate with the simple quick-tie buckle that lets you put baby in and take him out of the carrier with ease and no stress. Aside from the obvious hands-free capability (you know, so that you can carry your groceries, tackle household chores or just running errands generally), do you know that a baby carrier has many benefits? Essential Closeness - baby wearing allows you to stay in close contact with your infant and this reinforces the parent-child bond from the very beginning. The warmth from your body and the familiar sound of your heart and voice will make baby feel calm and secure, at the same time allowing you to learn your baby's needs. 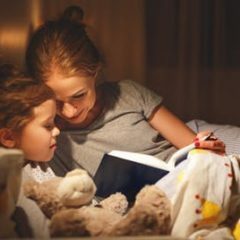 Sleep More - baby will be constantly stimulated (hearing what you hear, seeing what you see) and this will tire them throughout the day, which results in better sleep at night (and better sleep for you too!). Learn More - such constant stimulation also leads to faster cognitive development for your baby as s/he interacts with countless of objects throughout the day. Nurse Better - research has found that babies who are carried in a sling nurse better. Besides, you get to breastfeed baby anytime of the day, even when you're on-the-go and this ensures your supply is kept at an optimum level. If you're thinking of whether or not you should get a baby carrier, our advice is: go for it! It brings so much convenience to your daily life, you will wonder why didn't you get it any sooner. Compare and find the best baby carrier deals this Black Friday and Cyber Monday! HALF PRICE! BLACK FRIDAY CYBER MONDAY ONLY!